For Partner inquires, please complete our contact form and select Partner Inquiry. The Coca-Cola Company and Fishbowl have partnered to bring thought leadership and best practices to the industry, as well as to offer our Promotions Manager and Digital Acquisition solutions to Coca-Cola’s food service clients. 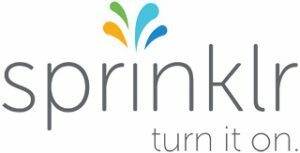 The partnership with Epson America, Inc., a leading supplier of value-added Point of Sale (POS) solutions, allows Fishbowl to source data from Epson’s new OmniLink® Merchant Services platform which facilitates access to customer data and enables restaurants to gain actionable insights. The Fishbowl and Olo partnership and platform integration enables restaurant brands to leverage online ordering data as a source for identifying customers and transactions, facilitating guest engagement that is more customized and effective. Fishbowl partners with Groupon, the leader at helping people find and save on amazing things to see, do, try and buy in their neighborhood, to enable national and multi-market restaurant operators to track and measure the overall effectiveness of their Groupon campaigns through attribution and incrementality. OpenTable and Fishbowl partner to provide marketing Saas to both independents and enterprise clients. Fishbowl integrates with OpenTable to bring actionable insights to our clients by leveraging customer reservation data. Fishbowl partners with Commerce Signals, the industry leader in Federated Data exchange, a breakthrough approach to secure data exchange, to offer deeper insights into specific guest behavior and preferences, including competitive dining choices and other activities including shopping, entertainment, travel etc. Fishbowl partners with The National Restaurant Association to offer our solutions to their members, as well as to promote thought leadership to the industry. Fishbowl partners with The Council of State Restaurant Associations and many individual state members to bring our solutions to their membership. Fishbowl is a Share Our Strength Dine Out for No Kid Hungry advisory board member, providing strategic direction on the national campaign to end childhood hunger in America. Share Our Strength is a non-profit whose mission is to end childhood hunger in America. Fishbowl is also a proud promotional partner of the Dine Out For No Kid Hungry. We promote the program to our customers and we support their participation by providing them with marketing content and our email software. For Partner inquires, please complete our contact form and select "Partner Inquiry."